Welcome to the Impactites.net website! Our online catalogue contains impact rocks, rare minerals and tektites from several astroblemes from Russia and Ukraine. Some unusual fulgurites are present here also. Impact rocks are divided by the categories. As a classification base I took the article "Morphological, structural and lithological records of terrestrial impacts: an overview" (pdf 3514 Kb) written by V. L. MASAITIS in Australian Journal of Earth Sciences (2005) 52, (509 - 528). Rare minerals presented here are also the product of the meteorite impact. Our fulgurites are very unique! The most of fulgurites you can find on market are the result of lightning hits the sand. Usually in the desert. So the chemically they are glass based on silica. They are also called Lechatelierite. Our fulgurites became a reality when the lightning hits the massive basaltic rocks. 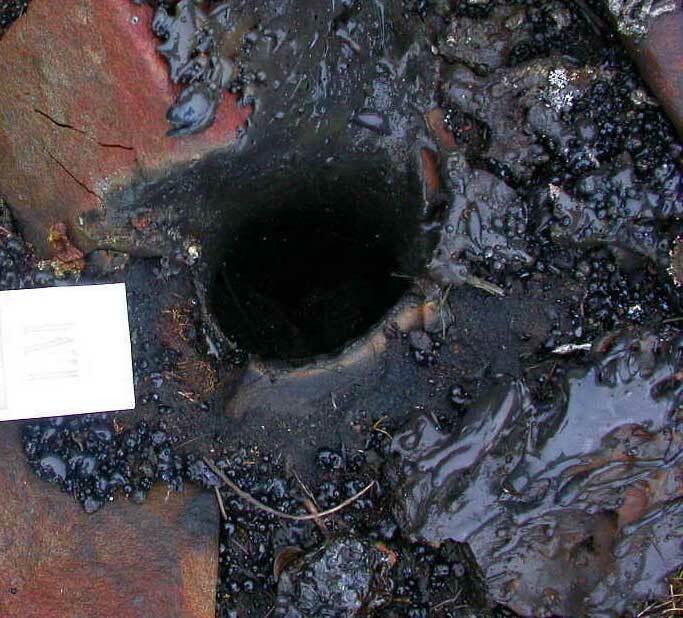 The event produces a hole in a rock and the melted substance was pushed out the hole. And then it was cool down. You can see that Silica is less that 50%! Here is an image of the actual hole in the basaltic rocks on the site how it was found (click to enlarge)! I will not be able to connect to the internet for some time. Sorry if I will not be able to reply for some days. I will be away from Prague until August 31. I will not be able to answer your emails at that time. I will be away from Prague and computers from April 25, 2009 for 10 days or so. I'm sorry if I will not be able to answer your email at that time!